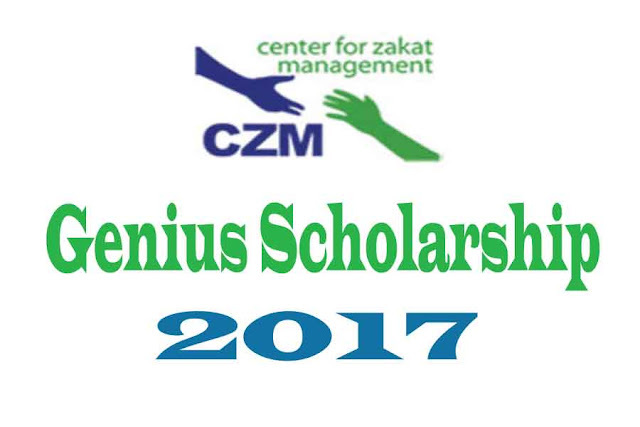 Centre for Zakat Management (CZM) has published CZM Genius Scholarship Circular 2017 for all university, medical or engineering students of Bangladesh. This scholarship program is continuing from 2010 to help the poor and meritorious students of all public universities, govt. medical colleges and engineering universities. 1. The students who have admitted to any public university, govt. medical college or engineering university in session 2016-2017 Honours/MBBS/BDS/Engineering first year/1st semester can apply for this scholarship. 2. The applicants must be poor but good academic result. 1. The application form can be submitted by online only. More than one application from one applicant is not acceptable. 2. Before submit online application read necessary details from here. You can get help from some helping booths from every university. List of some helping booths is here. To know more about this scholarship from official site visit here. Please read all the instructions carefully and then submit the online application or get help from helping booths. All decisions about this scholarship will be taken by CZM Scholarship Authority. Approved official helpline phone numbers are- 01783558822, 01708523423, and office telephone number +8809613001181, +88 09613001176. You can contact by these numbers only with CZM.